John J. Coyle was the first person to teach a course at Penn State under the label "Business Logistics". After joining the faculty in 1961, he played an active role in developing the logistics and transportation program at Penn State. Dr. Coyle served as Executive Director of the Center for Supply Chain Research(CSCR) from 1989 until 2000. He currently is the Director of Corporate Relations for CSCR and Professor Emeritus of Business Administration. His many career highlights include 12 college and university awards for outstanding teaching and advising. In 2001, he received the Distinguished Lions Paw Award for outstanding service to the University. He received the Council of Logistics Management's highest honor, the Distinguished Service Award, in 1991. For 30 years Dr. Coyle served as the faculty athletic representative to the NCAA and the Big Ten for Penn State(1970-2000). He served as Special Assistant for Strategic Planning to the President of Penn State University from 1983 to 1986 and from 1989 to 1991. During 1982 to 1987 he served as Assistant Dean and Director of the Undergraduate Program, and from 1987 to 1989, as Associate Dean in The Smeal College of Business Administration at Penn State. 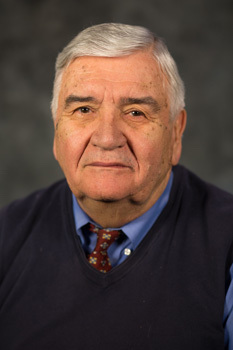 Coyle has also chaired many Universitywide committees, and served as chairman of the Faculty Senate. Dr. Coyle has written more than 100 publications and provided in-house educational programs for more than 300 companies. Coyle is President of CLSA Associates, a Supply Chain and Logistics Consulting Company. He is a member of the Board of Sears Logistics Services Company, ChemLogix, and Avicon. Supply Chain Management. Change Management in Supply Chains. Logistics, Marketing and Manufacturing Interfaces. Distribution Channels and Reverse Logistics. Coyle J. J., Novack R. A., Langley C., Bardi E., "Supply Chain Management: A Logistics Perspective." 2008.